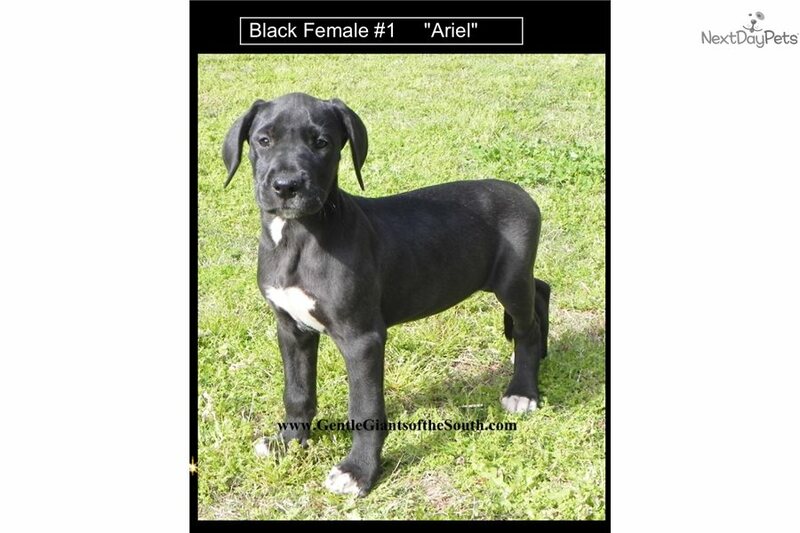 This Great Dane nicknamed Anastasia sold and went to a new family. HERE IS A GORGEOUS BLACK FEMALE THAT IS GORGEOUS AND GOING TO BE HUGE..
COMES WITH OUR EXCLUSIVE FIVE YEAR HEALTH GUARANTEE. 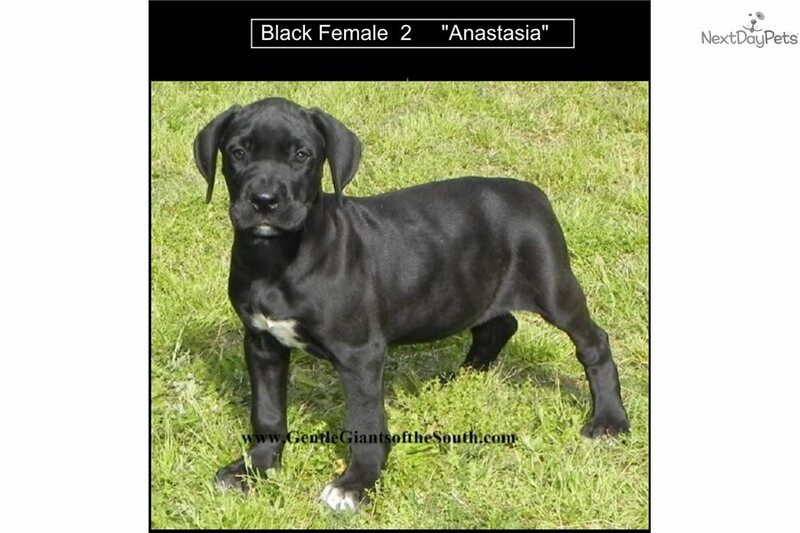 We have a gorgeous BLACK FEMALE with multi-international champion bloodline. She will come completely Vet checked, current on vaccinations and with our FIVE YEAR Health Guarantee. Father is Osko (our Russian/Poland import) Multi-Champion Bloodline and Mother is Oakley. These babies will have the big block heads and massive bone structure.